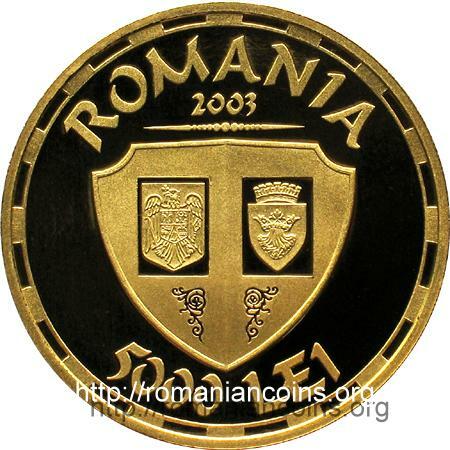 The coin belongs to the Christian Feudal Art Monuments series, 250 having been minted only. 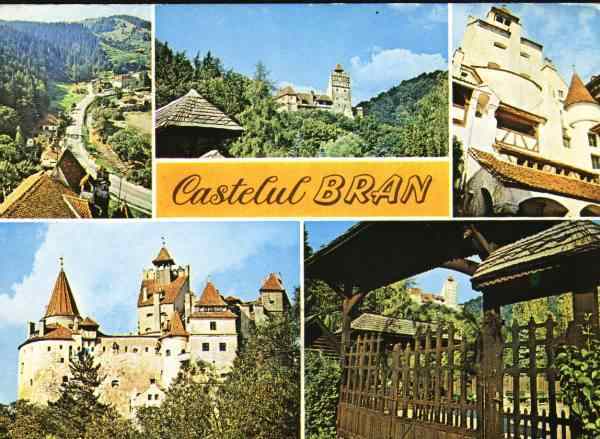 The castle of Bran was raised to oversee the commercial route linking Braşov and Cîmpulung, an important customs office being settled here. 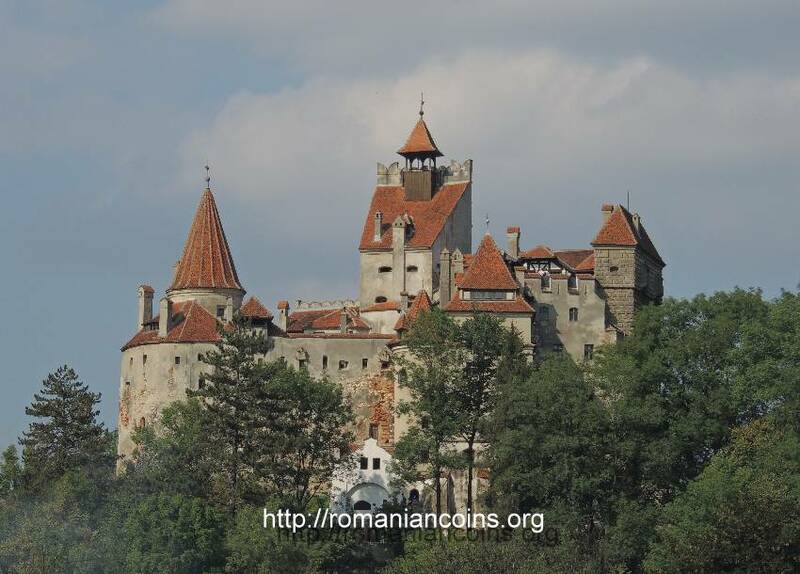 Located in Transylvania, it was owned by Mircea the Old (1386 -1418), that himself had received it from Sigismund of Luxemburg (king of Hungary between 1387 and 1437), most probably in 1395, as result of the friendship and alliance treaty concluded at Braşov by the two sovereigns. In 1427 the castle returned again to the possession of Sigismund. 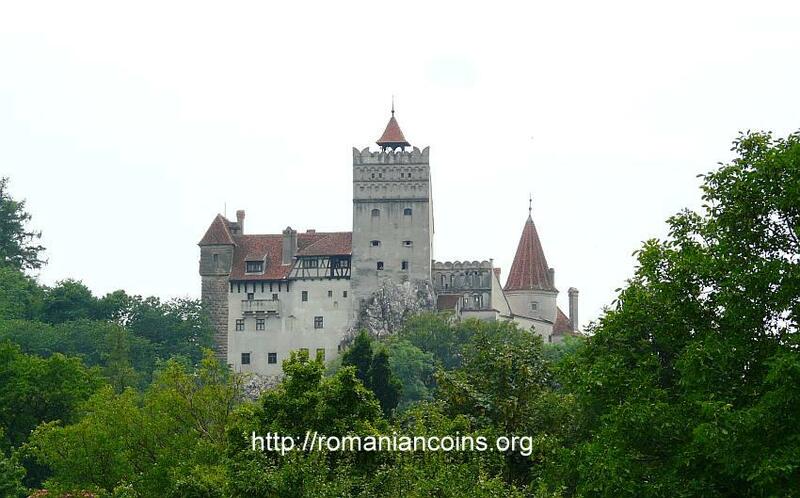 In 1920, after the Great Union, Bran Castle became property of Queen Marie of Romania. After the death of the queen the castle was inherited by one of her daughters, princess Ileana (1908 - 1991). During the communist period the castle was nationalized, being turned into a museum. 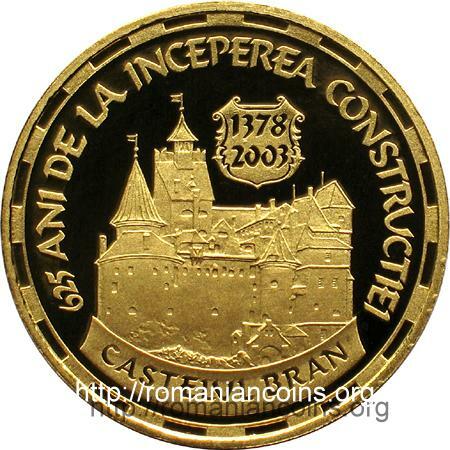 In 2006 the castle was retroceded to the offsprings of princess Ileana.